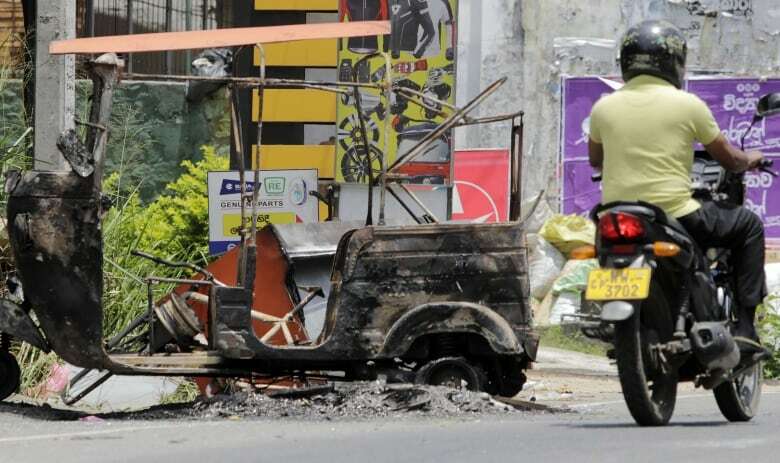 Religious violence flared anew in the hills of central Sri Lanka on Wednesday despite a state of emergency, with Buddhist mobs sweeping through towns and villages, burning Muslim homes and businesses, and leaving victims barricaded inside mosques. 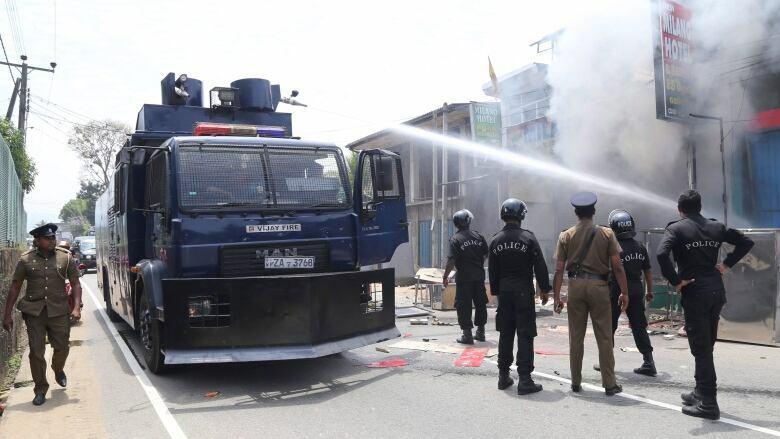 Religious violence flared anew in the hills of central Sri Lanka on Wednesday despite a state of emergency, with Buddhist mobs sweeping through towns and villages, burning Muslim homes and businesses and leaving victims barricaded inside mosques. Hundreds of Muslim residents of Mullegama, a village in the hills of central Sri Lanka, barricaded themselves inside a local mosque after Buddhist mobs attacked their homes Wednesday morning accusing them of stealing the donation box of a nearby temple. At least 20 Muslim homes appeared badly damaged and flames engulfed one two-storey home. The Muslims hiding in the mosque, and who spoke on condition of anonymity because of fear of reprisals, said police prevented them from saving their property and did nothing to stop the attackers. The police officials said they could not immediately identify cause of the explosion or who was responsible. Mullegama Piyaratana, a Buddhist monk at the temple, said the attacks on the Muslim homes took place after some people pelted the temple with rocks late Tuesday. He would not identify who attacked the temple. Sri Lanka remains deeply scarred by its 1983-2009 civil war, when Tamil rebels fought to create an independent homeland. Muslims make up nine per cent of the 21 million population, the smallest minority after ethnic Tamils, most of whom are Hindus. The majority of the population is Sinhalese and Buddhist. 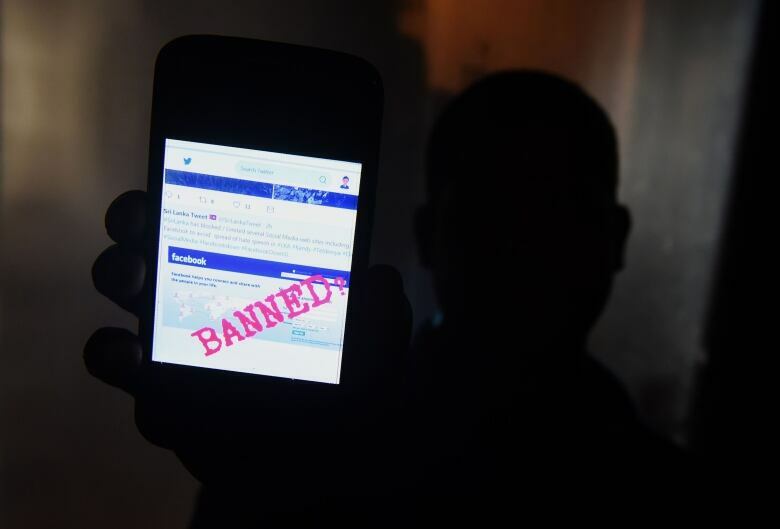 The official, speaking on condition of anonymity under company policy, said the order was for Facebook, Instagram, Viber and WhatsApp. Some of those networks appeared to be blocked in Colombo, the capital, while others worked sporadically and slowly. President Maithripala Sirisena declared the state of emergency on Tuesday, though a day later, details of the decree remained unclear. While the hills were flooded with soldiers and policemen ordering people off the street, little, if anything, appeared to have changed elsewhere in the country. The UN office in Colombo condemned the violence.